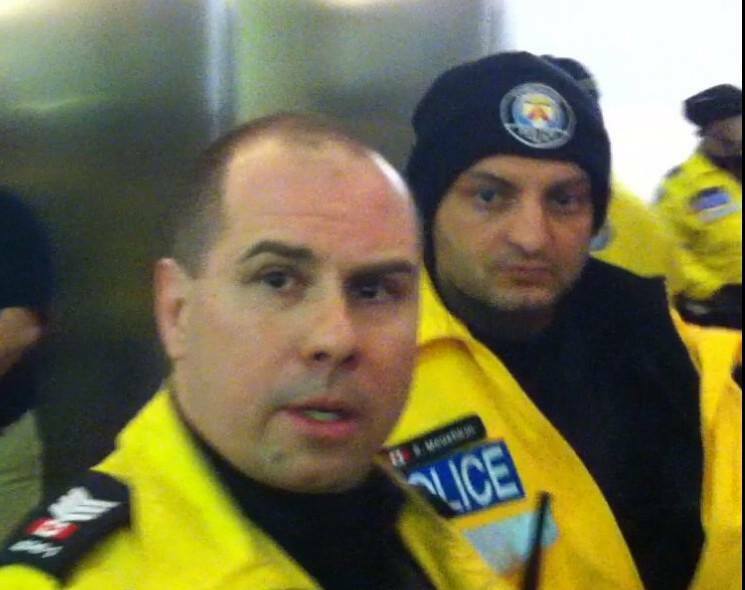 UPDATE.. Meet SARGENT Michael SHAW – A BULLY ON PAYROLL- | TORONTO'S FIRST "Cop Watch"
It appears that Mr Shaw was involved in a case that forced the T.P.S and the Board to recognize that Racial Profiling hurts Minorities living in Toronto..
Another Porker who does not deserve the respect of Toronto Taxpayer’s . He is an “expert in antagonistic techniques” .. He bads mouth social conscious people.. He terrorizes the Community.. He is in one word a Bad Apple in the T.P.S Payroll.. Chief Blair keep an eye on this pork’s file.. He ‘s is an indignation to the T.P.S force!.. ← JASON THE PORK RESIGNED FROM THE FORCE.. YES!! !